Few CEOs get to change the world for the better. To genuinely alter humankind’s trajectory in ways posterity rewards with accolades and, vitally for shareholders, riches. 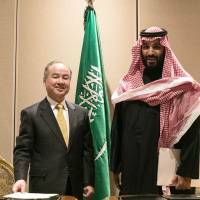 Did Softbank Group Corp. Chairman and CEO Masayoshi Son do just that last week? No, not his big win with Grab, where he engineered Uber’s exit from Southeast Asia to SoftBank’s benefit. The epochal moment in question was Son’s $200 billion project to build history’s biggest-ever solar project in Saudi Arabia. The venture even has batteries included, involving plans to store electricity for use 24/7, addressing a problem that’s confounded the industry. Decades from now, kids won’t know from gas stations, oil rigs or petrostates. It’ll be like trying to tell today’s Generation Z about floppy disks, fax machines and pagers. That will be partly thanks to out-of-the-box risks. Son’s gamble in the Saudi desert poses a major shift for the most important industry of tomorrow. Nothing holds more promise than figuring out ways for China, India and Indonesia and other demographic giants to grow 7 percent and become rich without choking. Son’s solar project, like Elon Musk’s Gigafactory in the Nevada desert, could be answering those questions right before our eyes. In Son’s case, finding a rejoinder to the chorus of skeptics is becoming increasingly urgent. Son’s reputation in tech circles is more as a hapless bubble-blower than Japan’s Warren Buffett. That may be changing thanks to developments last week. The first is the earlier mentioned Grab/Uber maneuver. Uber, in which Son is the biggest shareholder, left Southeast Asia in exchange for a 27.5 percent stake in Singapore-based Grab. Son also was the biggest early investor in Grab, starting with $250 million in 2014. For Son, these bets are part of his drive to dominate the ride-sharing sector. He’s also bought into China’s Didi Chuxing and India’s Ola. For investors, though, it’s about proving he can repeat his Alibaba success. The $20 million Son handed Jack Ma in 2000 was worth $50 billion by 2014. The market wants to be sure Son really knows what he’s doing. By investing in everything from transportation to energy to robots to investment management to satellites to microchips to indoor farms, the $93 billion SoftBank Vision Fund has prompted lots of head scratching. Son still has yet to show there’s a coherent overall strategy at play. That’s why the Grab/Uber news is big. Along with profiting from Grab, Son wins as Uber focuses on the West and plans a giant initial public offering in 2019. Son profits as Grab grows its local dominance and Uber recalibrates. He has similarly hedged bets on Chinese and Indian players. Son’s various stakes allow him to influence how ride-sharing leaders tackle — or retreat from — different markets. Here, a third storyline last week could help connect the dots: Son taking a 25 percent stake in Swiss Re. If Son does end up paying between $9 billion and $10 billion for the reinsurer, he’d be channeling Buffett, who steadied his Berkshire Hathaway conglomerate with reliable cash flows from General Re. Swiss Re also is a name with which Buffett has history. At the height of the financial crisis a decade ago, the “Sage of Omaha” tossed a $3.2 billion lifeline to the reinsurer. Those cash flows might allay investors’ concerns about the dizzying array of multi-billion-dollar bets Son placed over the last year. In taking Japan’s biggest mobile-phone carrier out of its comfort zone, Son undoubtedly caused some sleepless nights among shareholders. That’s what true visionaries do, of course. Son has been breaking the mold of Japanese chieftains, normally a risk-averse lot, since his 2006 Vodafone acquisition. Jaws dropped over his $22 billion bet on Sprint Nextel seven years later — and again in 2016 by putting $32 billion in U.K. semiconductor designer ARM Holdings. Son doesn’t care for bunts or singles — he swings for the fences. And 2017 was a year of serious swinging away. 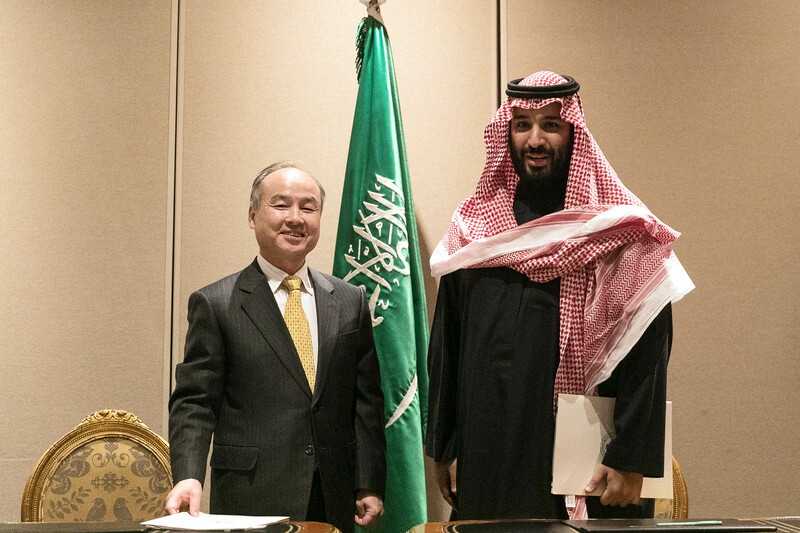 Son’s whack at accelerating the dominance and efficiency of solar power with the oil-rich Saudis could be the most impactful yet. Yet it’s also a timely reminder of how little money Son invests in Japan these days. Europe, the U.S., India, Southeast Asia and Saudi Arabia, sure. Aging Japan, hardly any at all. Part of me wishes some of Son’s audacity would rub off on Japan Inc. No, Japan doesn’t need a return to the insanity of the 1980s, when vanity and hubris drove overseas purchases, not sage strategy. Yet more than five years into Prime Minister Shinzo Abe’s revival scheme, all too many of Son’s peers are still mostly bunting. Abe put few structural reform wins on the scoreboard. And his latitude to shake things up may be dwindling as a year-long cronyism scandal intensifies and squanders political capital. Son, by contrast, may be racking up some big wins, at long last. That could be great news for SoftBank shareholders. It could be even greater for corporate Japan if other chieftains followed Son’s lead.